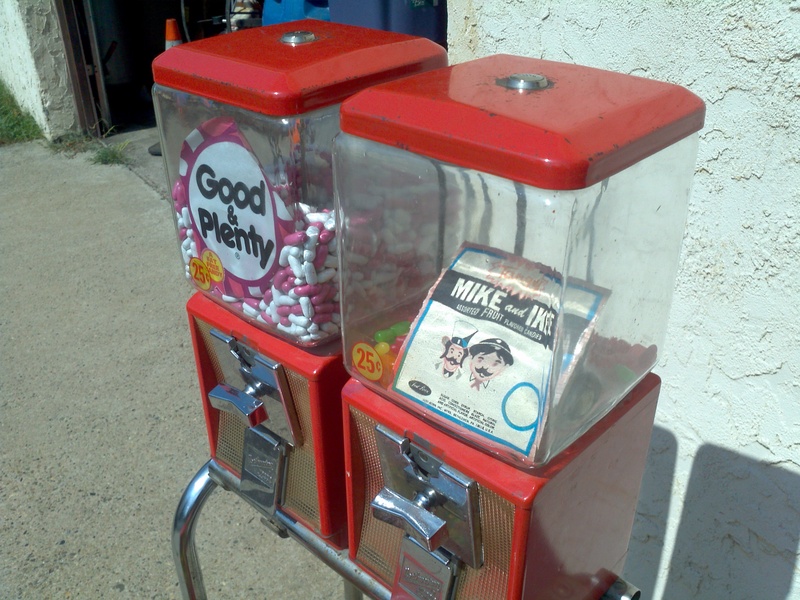 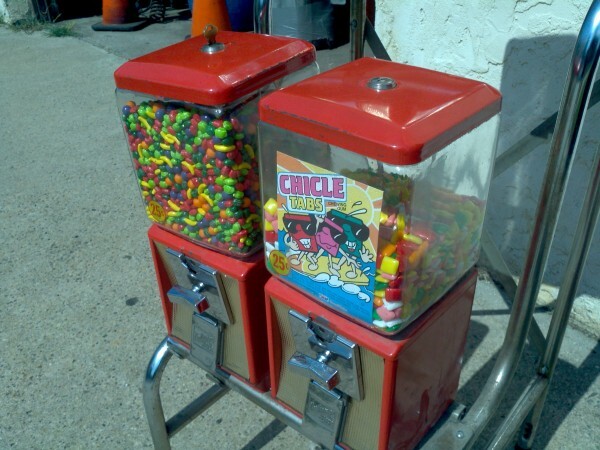 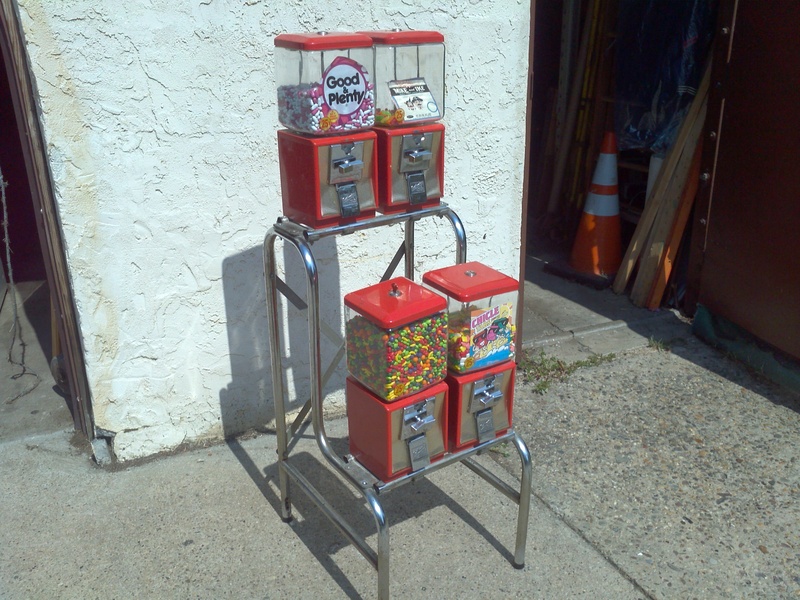 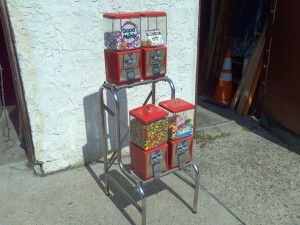 Four 1960’s Northwestern gum ball machines with rack from a now closed bowling alley. All machines work and are keyed alike with key. Candy not included. 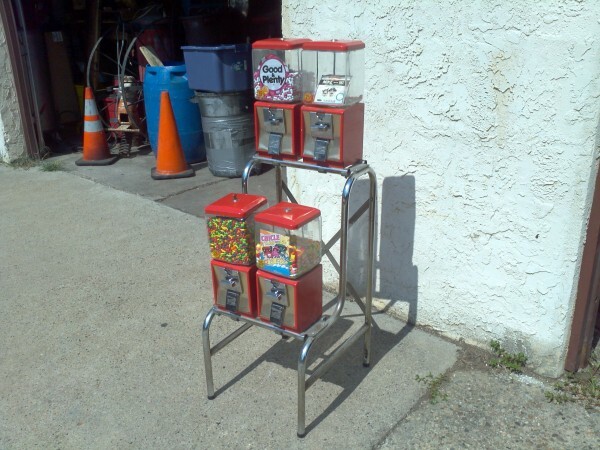 Nice gameroom item………….